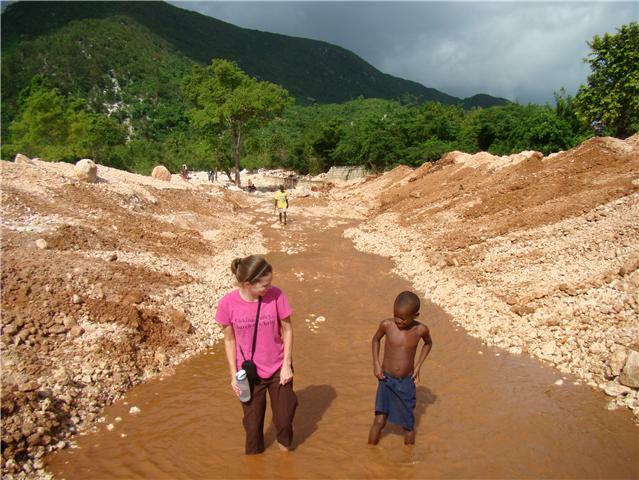 Ginny in Haiti: Learning to Dance in the Rain! Came across a quote that really hot home today. I had a big scare last week. I found out that the Haitian attorney I had to do Odessa's adoption, could not do it. Very bad news. 17 months we have been waiting! But there is some good news-I got her legal paperwork and had all the paperwork done my previous attorney told me I needed for the adoption. But more bad news: He is not up to date and I need yet MORE paperwork. But the good news is I had a met a missionary here in Haiti (who has adopted 10 children and is working on #11-as a SINGLE mom and she's younger than me!-I think she needs a psych evaluation!) who can help me with all of this and her mission is doing so free of charge! I meet our new attorney next week-she has already finalized 30 adoptions this year alone. I want Odessa to be number 31! More bad news come yesterday as I learned I do not meet the US requirement for income. Can't exactly change how much money I made last year. So this quote really hit home today. We're learning to dance in the storm of international adoption! Yesterday afternoon I danced holding in tears. Yesterday morning I danced b/c Odessa started school! The week before I danced with a sucker-punch feeling in my gut. Today I'm dancing while making spaghetti! We don't know what tomorrow may bring but it's just a storm.